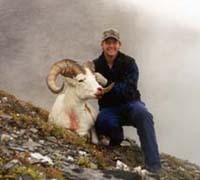 Our Dall Sheep hunting is conducted deep in the heart of the Alaska Range and offers perhaps the most challenging and rewarding adventure in Alaska. 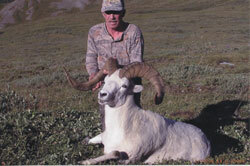 Year around scouting forays into the areas we hunt help determine the number of sheep hunts offered. 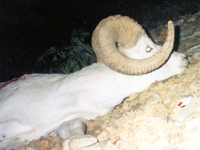 To help ensure top quality animals we limit the number of sheep taken out of each area. No more than two hunters are in the field at one time. 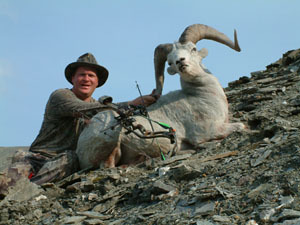 While at times we hunt from base camps, most times we hunt from spike camps at considerable elevations. 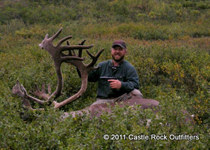 We base out of two cabins which are supported by several spike camps. 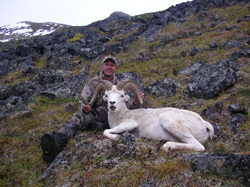 Our spike camps consists of 9x9 Denali XWT tents, these tents are comfortable in all Alaska weather. Our camps are set at about 2800 feet elevation with some of the surrounding mountains rising over 6000 feet. Our camps are comfortable and well stocked, with wood stoves to help warm your weary bones and dry your wet clothing if need be. 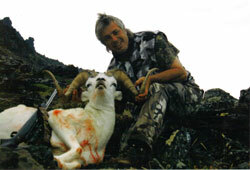 By prior scouting a spike camp will be set in close proximity to the sheep you'll be hunting. 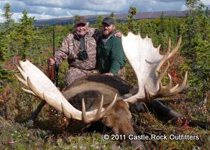 You'll be transported to the field via bush plane, ATV or off road vehicle, depending on hunting conditions and the exact location of the hunt. 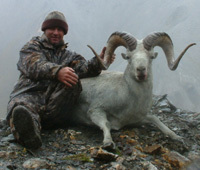 From there your hunt will be conducted off of horseback or foot. 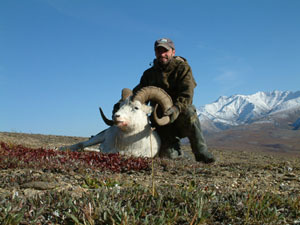 NO hunt is more satisfying or rewarding, but be prepared to endure 10 – 14 hours of hunting per day while pursuing your Dall sheep. 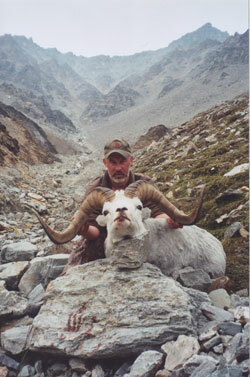 The better your physical conditioning the more enjoyable your hunt. 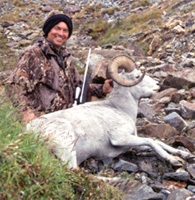 You'll be guided by Alaskan resident guides who have spent many years in the mountains you're hunting, and they love to cook Dall sheep for dinner! 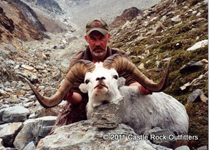 A Dall sheep makes an outstanding mount with the added bonus of up to 80 pounds of some of the best wild game you'll ever taste. Again, success rates are highest for those in better physical condition. 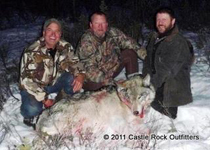 We encourage our hunters to start getting in shape well before the hunt. 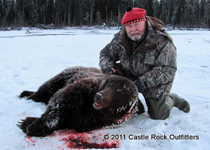 Castle Rock Outfitters is a low volume high quality hunting operation and we will strive to make your hunting adventure with us an unforgettable experience.